*Please note all discs are sold as a pair, single discs are avialble on request. Ideal for performance enthusiasts looking for a performance braking solution with unmatched styling and appearance. DBA 4000 T3 slot brake rotor design consists of a precise array of slots that have been formulated using the latest in computer aided engineering design software and extensive on-road and race track tests. The result is an amazingly quieter, responsive and smoother brake pedal feel. 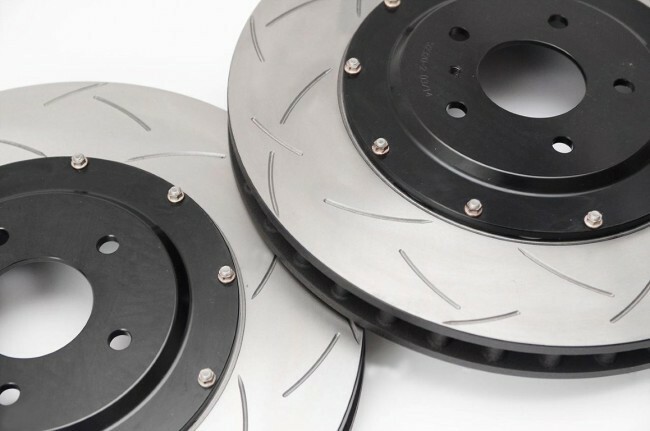 This is achieved from a series of tri-symmetrical ‘curved’ slots, which when aligned in a specifc way, drastically dampen the vibration harmonics or noise, that’s commonly associated with traditional straight slot (groove) brake rotor designs. Inspired within Australia’s heartland, DBA developed the Kangaroo Paw cooling system. This patented ventilation system provides a much more efficient method of keeping the rotors cool under the heaviest of braking applications. Friction surface is CBN (Cubic Boron Nitride) machine turned for improved DTV (Disc Thickness variation) and parallelism. This provides a more dimensionally precise and stable surface finish when compared to ‘ground’ finished disc rotors. 4000 and 5000 Series rotors also incorporate DBA’s Thermo-Graphic heat paint markings which change colour when specific temperature thresholds are achieved. By monitoring the markings, drivers can check their braking performance quickly and easily. 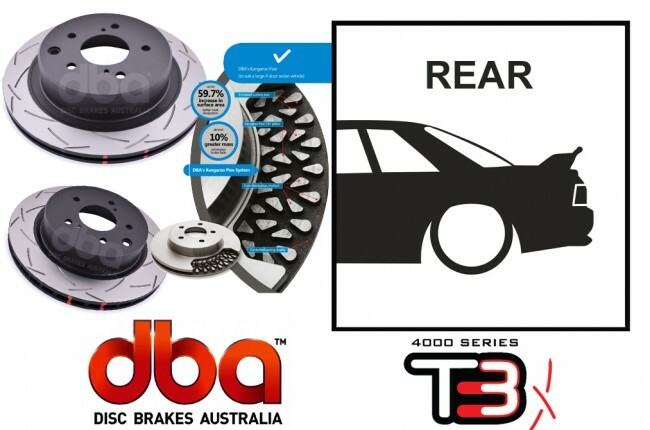 Through extensive testing and feedback from performance drivers worldwide, DBA has developed a unique cast iron formula (XG-150) for use in all of it’s CLUBSPEC disc brake rotors. The XG-150 formula, with it’s increased thermal capacity properties, is designed to respond to the DBA TSP process allowing the rotor to handle constant extremes of heat over an extended period of time. TSPTM is a process of relieving the stresses that are naturally generated in the casting and manufacturing processes. 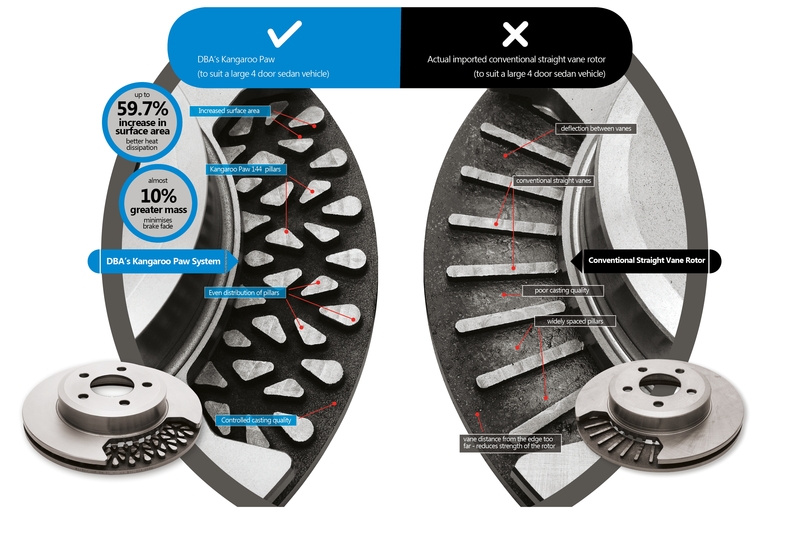 This process stabilises the stresses by re-aligning the microstructure of the iron, resulting in a disc rotor ideal for heavy road braking and race applications.